Marianne Lihannah's singing & beautiful voice will leave a lovely & lasting memory of your special day - be it as your Wedding Singer, Christening Singer or Funeral Singer. - A versatile, imaginative & highly trained singer & singing teacher based in Stroud, Gloucestershire in the South-West of the UK. - A wide repertoire, yet bespoke requests taken. - A mezzo soprano singer with a lot of experience as a wedding singer and funeral singer, singing for weddings and funerals, enabling her to create the perfect atmosphere for your occasion. “I love what I do, & this keeps me enthusiastic & ensures my full commitment. I pride myself on delivering a very high standard of service. 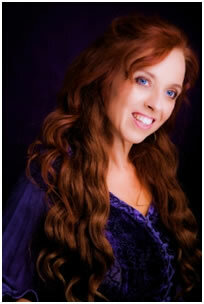 Looking for a singer for your Wedding/Christening/Funeral? “Marianne Lihannah recently sang at the funeral service for my dear mother. Not only did I find her to be the consummate professional in finalizing arrangements, she showed compassion throughout and I felt as if I had known her for years. We found you so very helpful in the planning stages and were very appreciative for your dedicated advice, flexibility and promptness in communication and that you were also able to organise the organist to play. On the day, we were delighted with your beautiful singing - it was just perfect and we were so glad you could also lead the congregation in the other songs. Our guests commented on what a lovely service it was and your singing was an important part of that. “What a truly amazing voice you have. Singing Ave Maria at my grandads funeral was simply stunning. It was so moving and brought tears to everyone's eyes. It made the day so special and we will cherish the memory forever. I can't recommend you highly enough. “Well we are back from our honeymoon and would like to say a huge thank you for singing at our wedding. Your voice is breathtaking, which made our ceremony so very special. We found that having you sing enabled us to take those few minutes, when the focus was on you, to savor and truly take in each other and what was happening. Priceless! Also, your professionalism from our first email right through to our big day was superb, which helped me greatly to organize it all from abroad. In particular, your ability and willingness to transpose the music we wanted and work with our harpist to enable her to accompany you was amazing. Please feel free to give out my name and email as a reference. ‘Celebration Songs’ provides wedding, christening and funeral music throughout the UK. Marianne Lihannah has full public liability insurance.